A legal firm which sought to challenge a decision by the Scottish Legal Complaints Commission (SLCC) to admit a number of complaints to further investigation has been refused leave to appeal to the Court of Session. A judge refused the firm’s application after ruling that there was “no arguable case” or “realistic prospect” of the court being persuaded that the SLCC had erred in law in reaching its decision. 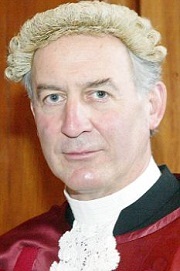 Lord Glennie heard that the firm, referred to as “X LLP”, and individuals within the firm, criticised the commission’s reasoning in relation to certain complaints. The SLCC had rejected some complaints as being “frivolous, vexatious and totally without merit”, but allowed others to proceed not having found that they fell into that category. On behalf of the applicants, Ruth Crawford submitted that on some matters there was “insufficient investigation” by the commission to enable it to ascertain whether there was any sound basis for the complaint. It was said too that on some matters the SLCC did not identify with sufficient precision what the complaint was before deciding that it merited further investigation, and that there was a lack of specification in some of the complaints, which was not clarified or resolved by the commission before holding that the complaint should be allowed to proceed. Refusing the application, the judge observed that the exercise carried out by the commission, which was represented by Morag Ross QC, was a “gatekeeping or sifting exercise” and that the the nature and extent of the investigation to be carried out by the SLCC is “pre-eminently a matter for the commission itself”. In a written note of reasons, Lord Glennie said: “An appeal to this court lies on an error of law made by the commission or if it can be said that the commission has acted irrationally in the exercise of its discretion. Those, I think, are the only two heads relied upon and they are the only two heads relevant to a case where the commission has not yet found any facts to be established. “That is a high test for the substantive appeal. It is not dissimilar to that which applies in the context of judicial review. One has to show that the commission did not simply get it wrong, but that it got it wrong because it approached the matter in the wrong way as a matter of law or got it so wrong that its decision can be categorised as irrational. So if a substantive appeal were to be allowed, that would be a high test which would have to be overcome. “The question on leave to appeal is a different one. It is whether the appeal would have a realistic prospect of meeting that high test, or whether there is an arguable case. I do not, for my part, think there is much difference if anything between these different ways of expressing it. If it is said that one is lower than the other, I am prepared to accept the lower test. But it is a low test. The judge noted that in this case the commission decision, which extended to some 60 pages, was “very fully reasoned”, dealing with each complaint individually and over a number of paragraphs before deciding whether the complaint was frivolous, vexatious or totally without merit or whether it should proceed. “It is longer than might be thought necessary on a gatekeeping exercise but, if that is a fault, it could be said to be a fault in the right direction,” he said.